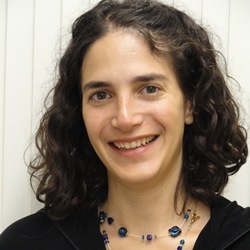 Laura Schulz is the Class of 1943 Career Development Associate Professor of Cognitive Science in the Department of Brain and Cognitive Sciences at MIT. She received the Troland award from the National Science Foundation in 2012, the Macvicar Faculty Fellowship at MIT in 2013, and the American Psychological Association Distinguished Scientific Award for Early Career Contribution to Psychology in 2014. She has a Ph.D. in Developmental Psychology from the University of California, Berkeley and a B.A. in Philosophy from University of Michigan. The infrastructure of human cognition -- our commonsense understanding of the physical and social world -- is constructed during early childhood. I study the representations and learning mechanisms that underlie this feat. My research looks at 1) how children infer the concepts and causal relations that enable them to engage in accurate prediction, explanation, and intervention; 2) the factors that support curiosity and exploration, allowing children to engage in effective discovery and 3) how the social-communicative context (e.g., demonstrating evidence, explaining events, disagreeing about hypotheses) affects children’s learning. This is a communication intensive course on cognitive development. We will treat developmental psychology as “applied philosophy”—a way to answer fundamental questions about the origins and nature of knowledge. You should expect to gain an understanding of the questions that motivate developmental research and the methods that can answer these questions. We will focus on how children acquire commonsense knowledge about the world, focusing particularly on their understanding of objects (shoes, ships and sealing wax), agents (you, me, and sometimes fuzzy green blobs) and causality (the relations that bind these together). We will examine the evidence for innate representations and also look at the processes that underlie learning and conceptual change. The course is structured around primary sources, not a textbook. Most days, you will read one brief review article and one or two empirical articles. Schulz, L. (2012) The origins of inquiry: Inductive inference and exploration in early childhood. Trends in Cognitive Sciences, 16, 382-389. Gweon, H., & Schulz, L. E. (2011). 16-month-olds rationally infer causes of failed actions. Science, 332(6037), 1524. Gweon, H., Tenenbaum, J., & Schulz, L. E. (2010). Infants consider both the sample and the sampling process in inductive generalization. Proceedings of the National Academy of Sciences, 107(20), 9066-9071.